July 31, 2010 Elizabeth Ashworth1 Comment on Book signing at Waterstone's in Bolton. 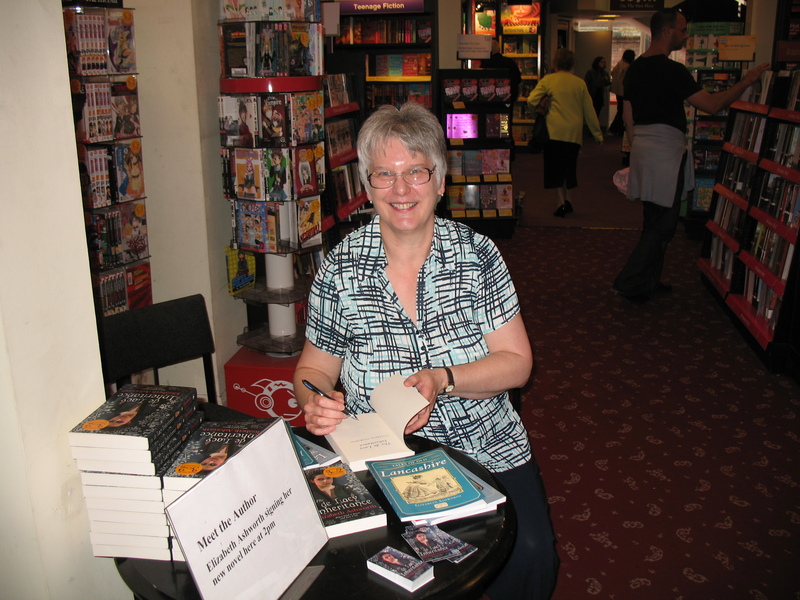 Book signing at Waterstone's in Bolton. I wasn’t sure what to expect but I had a very enjoyable afternoon chatting about The de Lacy Inheritance and my non-fiction books at Waterstone’s in Bolton. The staff were welcoming and enthusiastic and really made me feel at home. I’d like to thank them for the warm welcome. And I met some interesting people – some of whom were willing to take a risk and buy a copy of the book. I’d like to thank them too. Happy reading everyone! If you missed me today I’ll be signing at Lancaster (Cornmarket store) from 1 pm next Saturday – 7th August. Congratulations on your book signing. Sounds like a very enjoyable experience for you.